Tournament day is tomorrow, but are you and your team ready? 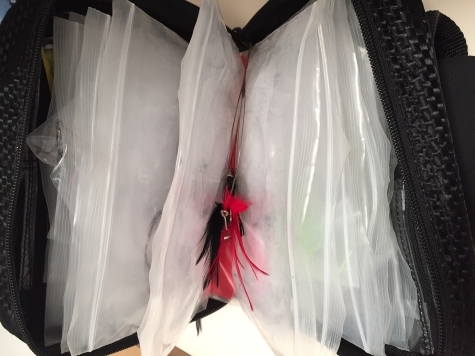 I want to discuss some of the prep work that is needed the week prior to an SKA event or any other KDW tournament that we fish. Sounds crazy, but by the time you are finished with the below tasks, 30+ hours of time has vanished. You and your team will have to make a commitment when fishing tournaments every weekend during the summer. A tournament day for me starts a 2:15am and may not be back to the house until 9:00pm. First I will look at all the line on our kingfish setups and determine if I need a new top shot/re-spool of bullbuster 25lb smoke mono. The majority of the time we are all set on mono since all fresh line was done before our first tournament. Next I replace all of the leaders on every setup with 40lb bullbuster fluorocarbon. I use a uni knot to connect the fluorocarbon leader to the mainline. While I am cutting off the old leader I am inspecting all the guides on the Rod. It has not happen to us yet, but we do not want our leader/mono cut by a broken guide. Lastly I make sure the drag is set to 5lbs at strike. When you are king fishing light drag is critical. Otherwise you can run the risk of pulling hooks and loosing fish. Now for the fun part, making rigs! I try and break this up over the course of the week, since it is time consuming for me at least. I want to make sure I have at least 60 kingfish stinger rigs for the tournament. I never want to run out and have to tie up additional stinger rigs during an event. I will have all different variations of rigs which consist of rigs with dusters(all different colors), without dusters, double treble hook rigs, live bait and treble rigs, and different thickness of wire. In addition I have 15 ribbon fish rigs. Downriggers, release clips, weights and all connections are looking good. A few days before the event make sure the team knows where they meeting, time to meet, time the boat is leaving (with or without them), lines in/ lines out, weigh in, rules and estimated time of drop off. Prior to leaving the dock you should know where you are going to fish or at least start. Get to your numbers early and assess the situation. We need bait! Live bait is 100% mandatory when tournament fishing for Kingfish. Here in south FL Gogs, Bluerunners and speedos are the bait of choice. There are two options either go catch them yourself or place an order with your local bait guy. 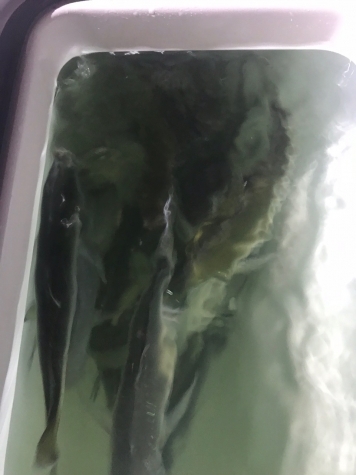 If your plan is to get live bait make sure you call ahead and place an order. I hope this article gives you the basics as a high level guide to help you through your first tournament/tournaments. We are on our second season of tournament fishing and keep learning each and every tournament. Thanks as always to Bullbuster for supporting Team Reel Dream! !